zenwalker - you're right I am positive about it. The photos on MR's site are so appalingly bad (the photos not the helmet) that imo they really dont tell us anything. The photo's I saw from the toy fair this year looked much better. TBH I've seen FAR too many great helmets look crap due to poor photography - I know for a fact that some of my early Vader photos make me cringe - However I'm sure we've all seen some pretty average helmets look very impressive due to some nice photo's, so it works both ways. I'd like to get to the bottom of why they had a scan of a Hero, and yet still went for a cast off JJ's (knackered) Stunt. I can only think the scan was just not adequate enough to tool up from. NHM I totally take your point that those guys working on the TE helmet produced a fine fiberglass helmet which leads me to believe that it may be the transition of Stunt to Hero which has caused some problems. AND... I'm also looking forward to more news and pictures from MR! 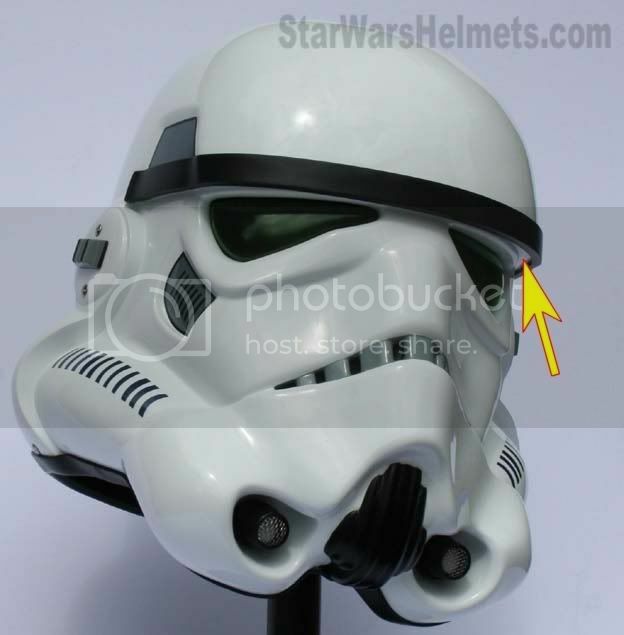 I would like to bring up an issue that was discussed earlier in this thread with regard to the colour of the screen used Stormtrooper 'Hero' Helmet eye lenses. Let me first just say that this is not in anyway meant to take sides on the issue, as I appreciate the expertise of people involved on both sides. I am only interested in discovering facts. I believe I found a way that proves what colour the 'Hero' helmet lenses are. What I did was take a High Definition Screen Cap of the shot where Luke and Han(dressed as Stormtroopers)are in the elevator on the way up to the detention block. I took this shot and opened the file in Photoshop. This is a pretty good shot to use as the camera is pretty close to the Hero Helmets and the lighting is pretty bright and we see the Hero eyes quite well. Next, while in Photoshop I went into the Image adjustments menu and went to the Brightness/ Hue sub-menu and increased the brightness. Then I went to the Hue/ Saturation sub-menu and increased the Saturation. Next I used the Dodge tool to further lighten the 'Hero' eyes lenses. Finally, I used the colour sample tool to sample the eye colour. Guess what colour it was, GREEN. I sampled both the eye lenses on Luke's 'Hero' Helmet as well as Han's, all the samples off all the Helmet lenses were green. The samples were taken off the highlighted areas where the true colour of the lenses were showing. With regard to this subject it would seem that the eye colours may be green after all. Remember, this was taken from a high quality HD Screen Cap from the actual film, so there should be no issues with color correction and the like. HD is the best quality in colour rendition other than 35mm film. So far I have tried this with only one screencap, I wil try some others later and see what happens. If I can, I 'll post some pics of what I got . Last edited by zenwalker on Sat May 05, 2007 6:31 am, edited 3 times in total. Hi zenwalker , you are right about the hero lenses color. I also run a test a while ago and I got same results. The problem with MR bucket is that the green color is way too saturated compared to the originals ones. If you look at the pictures from the toy fare it can be tell easily. Anyway, these are the result of my test. I hope it helps. I noticed while doing some experiments with the Hero eye lenses in Photoshop that if you over adjust the Saturation level too much you may not be getting a true reading in the blacks. This was also mentioned on another forum. I will try a couple of other screencaps using some different methods and see what else happens. Hopefully I can get some similar results without using the Saturation level. Actually... using captures from the SE versions, DVD or HD, cannot be trusted as their master source has been through some serious restoration and color correction. 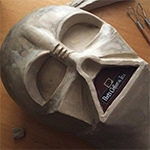 That is why, with the debate on the ANH Vader lense color, that it was decided only to use photographs as reference and not captures. NHM- I agree with you that the SE DVD, HD versions were not properly colour corrected 100% either. However, they would not have been so poorly colour corrected as to change the underlying hues or base colours, otherwise the flesh tones would be way off. That is, the colour green may not be the same green after the bad colour correction, but the underlying hue of green should still be there. Therefore I agree, using Screencaps to determine an exact colour will not be accurate, but using them to determine a hue shouldn't matter. 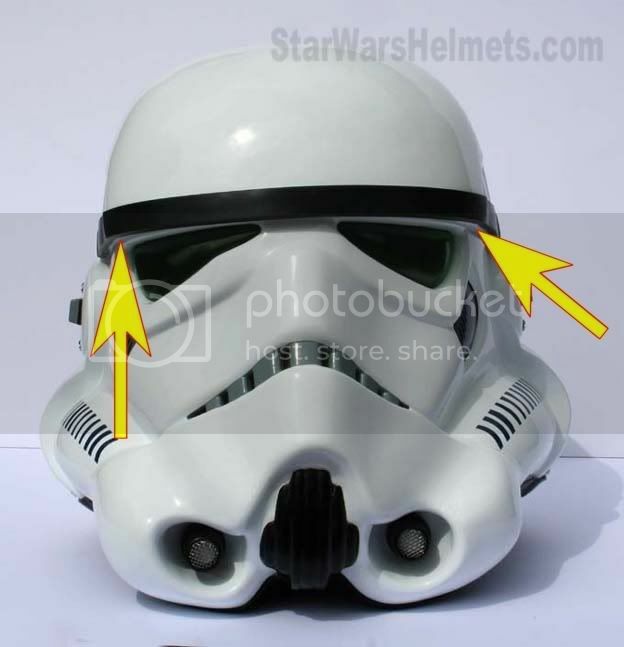 We wanted to know if the Stormtroper 'Hero' lenses are green, not what particular colour/shade of green, just if they are green or not. Also, I don't think using a photograph is much more accurate in determining a specific colour either, especially if it has been reprinted several times (as in a book etc.). Plus the lighting and several other factors when the photo was taken will not give you an exact reading of a specific colour. The only way would be to see the actual object in person. After a few discussions earlier in the week, MR has kindly sent me the prototype Stormtrooper helmet, so I've been able to spend a bit of time today looking over it - and taking some shots in the garden. As with the Clone's, Ive been really impressed with the build quality of this helmet. Sure there are a few things that need to be changed, but I'm really pleased that theyre prepared to listen to collectors before finally going into production. Bryan's already identified a few areas that will be altered, and these along with a few other minor changes will result in what IMO will be a really great collectible. Here are a few pics, again remember this is the prototype so areas such as the ears, frown, bump under the eye are already "due for change"
NHM- I agree with you that the SE DVD, HD versions were not properly colour corrected 100% either. However, they would not have been so poorly colour corrected as to change the underlying hues or base colours, otherwise the flesh tones would be way off. If they color corrected Vader's lenses to red in the SE and 2004 movies, then surely they could have color corrected the trooper lenses to green. Though... I don't see why they would wanna spend all that much time on that, since they are not as important as Vader's lenses being red. Thanks for sharing these, Jez. I still don't think it's a replica of an actual prop (the R in MR stands for REPLICAS doesn't it ), but let's just wait and see how it looks once it's "updated"
As far as I know, when a colorist does colour timing on a film what they do in general affects the whole image. So if you are colour correcting and you want the overall image to seem a bit bluer or yellower then that change affects the whole image(shot). The degree to which they do that will affect other hues in the shot up to a point. But if they want to maintain proper flesh tone etc. they can only push the colour correcting so far before people's faces start looking really blue or red, etc. Technically with the use of digital image colouring you can also go in and change the colour, hue, saturation of any object in the frame if you want. But that is usually done to create a very stylized or specific look, and is usually very tedious and expensive to do. So I don't think in this instance LFL would go in and change the original hues of specific objects in shots. I think the main problem with the SE DVD in terms of colour was that the colour correcting of the enitre image of some shots is inconsistent. While studying your pics I noticed MR didn't follow the original brow line, but in fact added some extra material to increase the low brow Hero effect. What about the size compared to a (let's say) SDS? I like this Hero helmet a lot. I like GINO's even more, but this one -- to me at least -- looks better than AA/SDS'. I love the muted green of the lenses. I like the detail. Despite its slight flaws, it looks proportionately correct. Conversely there are many eBay kits that are assembled right but look wrong. Last edited by CSMacLaren on Sun May 06, 2007 11:10 pm, edited 3 times in total. Can you post that MR next to an AA/SDS and compare it while photographing it standing 6 feet back? That would be awesome!